We're big fans of the Yakuza series here at DDNet. Between the urban playgrounds that they provide us to mess around with, to the oddball and often hilarious storylines, right through to the violence yakuza fantasies, each Yakuza title is an mesh of so much stuff there's something for everyone. With the HD remaster of Yakuza 2 around the corner, we sat down for a Q & A session with Sato Daisuke, the series producer of the Yakuza series, to talk about where the appeal is for these games, what to expect from the remaster, and how the games end up with their wonderfully distinctive tone. Matt S (MS): The Yakuza series is really starting to gain traction in the west. Why do you think that it’s finally starting to hit its stride outside of Japan? Daisuke S (DS): I think that ATLUS and SEGA coming together was probably the biggest reason. ATLUS USA has been publishing ATLUS titles in the West since before the acquisition, and they’ve dealt with games which you could say are considerably more “Japanese” than some SEGA games. They’re very adept at reaching a player base that’s interested in Japan and its culture. With ATLUS USA working on the branding and publishing of the series since Yakuza 0, I think the results are starting to show. We thought that Yakuza 0 turned out great, and it received rave reviews from fans too. I think that this title made for the perfect start to rebooting the branding of the series. MS: Between this series and the yakuza films, what do you think it is about these stories that makes for such great drama? DS: I think it’s because violence and death are always so close at hand. In an underworld society, it’s very common that a quarrel can lead to someone getting hurt or dying. In so many of these situations, those quarrels get settled in unreasonable ways, and people who get frustrated with the outcome take out their aggression in the form of violence. This only makes things worse, but it does makes for a thrilling story, where one move could lead to an irreversible crisis. On the other hand, I think you get a sense of chivalry or “bushido” among the yakuza community. The fact that they fight for honor, at times even without fear of death, is probably one good reason that they make for such great dramatic content. MS: Are there any yakuza films that particularly inspire you, that you’d recommend to fans of the Yakuza games? It’s not a genre that is quite as prominent out this way, so I’d like to point readers to some classics, if I can. DS: I believe many people are familiar with the works of Takeshi Kitano, such as “Outrage”. I’d also recommend “Jingi naki tatakai (Battles Without Honor and Humanity)” which is a classic yakuza movie that was a big hit in Japan back in the day. MS: Is it difficult to balance the humour of Yakuza games with the more serious elements – I assume that the Yakuza games have a couple of different writers on them, so what philosophy do you apply to bring it all together in a cohesive manner? DS: The main story is written by a small number of writers lead by Yokoyama, who is in charge of the script/screenplay. As you’ve predicted, the sub-stories are written by a couple of different writers, and that keeps the variety in the stories. We haven’t really had to struggle with balancing the different elements, but we do find it difficult to come up with compelling ideas for the stories themselves, whether they be comical, wholesome, etc. MS: Have you ever thought about making a Yakuza game with a woman as the principal protagonist? DS: It has crossed my mind before, but it has yet to come to fruition. MS: Do you feel that players of the Yakuza games get a sense of anything that’s distinct to Japanese culture? Every time I play one of these games I get homesick for Japan, but sometimes I struggle to put my finger on just what it is about the games that really captures the Japanese spirit and aesthetic. How would you describe it? DS: I think that everything in the game is the soul of Japanese culture. The setting is a Japanese city. The protagonist is Japanese. Mini-games, starting with the hostess clubs, are something very popular in Japan, or something that was popular at some point in the past. The story is written by Japanese people too, so the characters’ behavior mirrors that of Japanese people. MS: What do you think people’s main takeaways will be of Yakuza 2 – this is probably the game that those of us in Europe are lead familiar with in the series, so in how is it important to the overall franchise? DS: Following the smash hit of Yakuza, Yakuza 2 was a very important title to make the series successful in Japan. Yakuza 2 achieved record sales in Japan, and it could be said that it was because of that title that the Yakuza series was able to continue for the last 10+ years. This title also portrays the East-versus-West feud between the Kanto and Kansai regions. There are heavy themes of bloodlines and revenge, but I hope that fans will enjoy it as an entertainment piece. 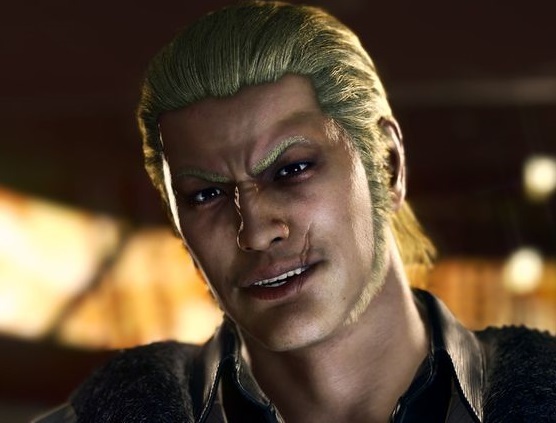 MS: Obviously, a lot of work goes into making a remaster look impressive on the modern consoles, and you certainly achieved that with Yakuza Kiwami. But looking beyond just the visual update, are is there anything about this remaster that you’re particularly proud of? DS: This title is the latest title in the series to be released, placing it after the numbered series title, Yakuza 6: The Song of Life. 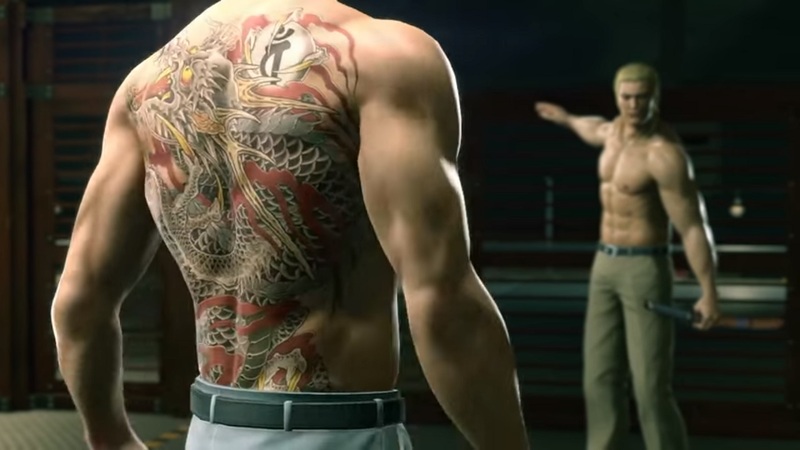 Yakuza 6 was the first title developed with the Dragon Engine, and being the first title utilizing a new engine, there were some shortcomings as we weren’t quite able to do everything that we wanted to do. I think we were able to make up for those shortcomings in the latest title, and I think it turned out to be culmination of all the greatest elements of the whole series. I really hope that everyone enjoys it. MS: Do you think that people’s experience of Yakuza, now that we know the events of Yakuza 6 in particular, will cause them to look differently at Yakuza 2 this time than when it was first released? DS: The main plot hasn’t changed from before, so I don’t think people’s impression of the story would change. However, because the graphics and game system have been greatly improved, I believe fans may find the story more immersive. It’s also worth noting that it’s been 10 years since it originally came out, and the players themselves have aged, too. That could also impact how they perceive the story.